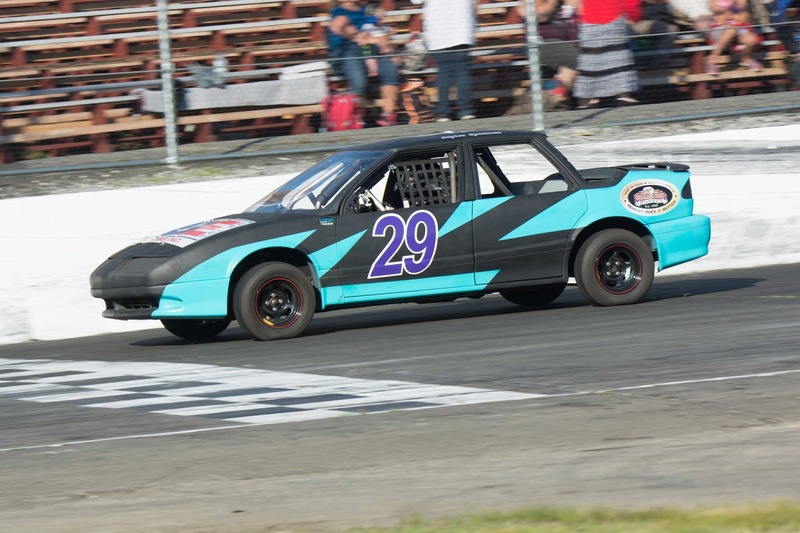 The Racing Times (AROUND THE TRACK): Kaylee Symonds "Her Passion For Racing"
Kaylee Symonds "Her Passion For Racing"
Becoming a driver at a local speedway usually starts off generally the same, having somebody either bring you to a track to drive a racecar or showing up with one at home. 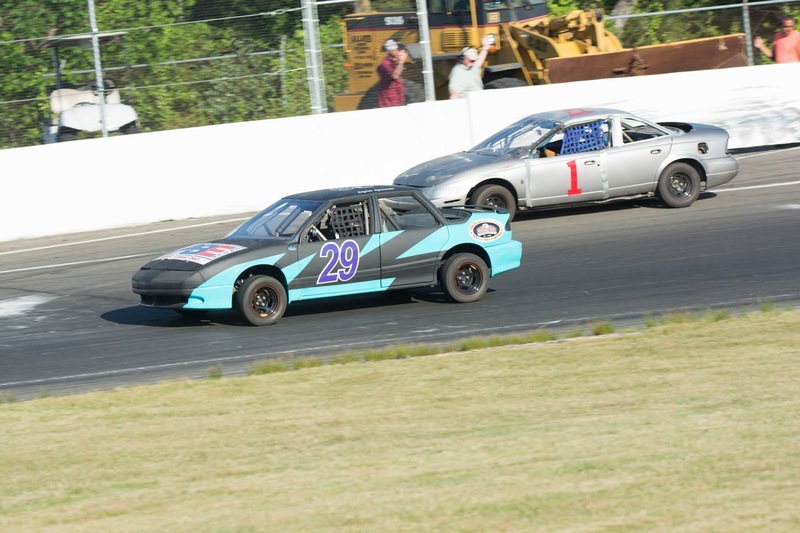 For Andover, CT’s Kaylee Symonds there was a little twist to the story on how this 20-year old started her racing career. Kaylee has a cousin that worked at The NLWS about six years ago. It first started off by visiting her to watching the races and after a couple times she was hooked. Kaylee kept coming back to The Speedbowl to watch as a spectator. It was then that she wanted to try racing herself, but her maiden voyage was going to be the Stafford Speedway. Her dad was friends with Dave Miller (Auto Machine) who is associated with a Late Model Team. In 2013, she joined Kevin Gambacorta’s #23 Late Model Team. Working with Gambacorta’s Team is where the passion of racing really developed. This is when Dave Miller gave Kaylee a Saturn to learn how to drive standard and to start practicing with. 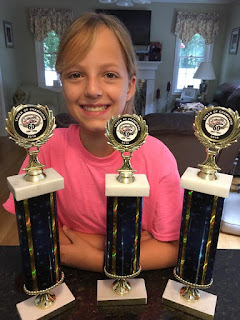 Now it was time to build a car for her to race, but unfortunately the funds were not there yet so Kaylee continued to go to the race tracks in Connecticut to watch her favorite sport. In the beginning of 2017, she learned that Gambacorta was injured and didn’t know if he was going to race. Possibly not being able to be part of a full time race team as a crew member, she decided it was time to pursue her dream and began building the Saturn that she was given into a X-Car. So, turn the clocks to 2017 and now you can find Kaylee behind the wheel of the #29 X-Car that’s a part of the Wild -n-Wacky Wednesday night program at her new home, The NLWS. Her weekly schedule is full as she attends Manchester Community College to work on a degree in Business Entrepreneurship as well as working as a Cashier Supervisor at Highland Park Market. 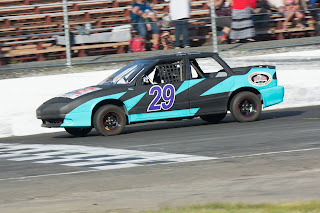 So only having a handful of races under her belt, her most memorable moment or I should say was what stood out the most to date for Kaylee, was when she blew her motor at The NLWS open practice before the season started. It happened in her third round of practice after completing her first two rounds ever at the Bowl. With now not having a motor, she scrambled to find a new one. Kaylee found an engine in Massachusetts and her, her dad and Chuck McDonald worked to remove the old engine a few days later. The process continued the sunday before the opener at Waterford to put the new engine in the car. Kaylee was joined by her dad, Glenn Korner and Mitch Bombard to help put the new one in. This whole process finished up the morning of her first race that night. 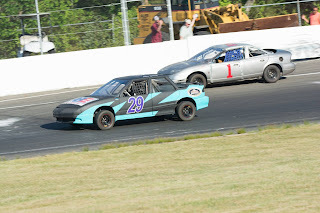 The motor that was put in had a tick and Kaylee was only able to complete one lap in her feature event that night. After her first event and still having motor woes, Kaylee decided to use the motor that was in the parts car she purchased from Kyle Gero. She, with the help of her crew, took the motor from there, cleaned it up, put it in her car, and her journey was finally started. This whole experience that Symonds went through really showed her how racing could be and I’m sure as a racer it was well worth it. Being a rookie driver looking at the goals she set for herself shows she really gets it as a driver. She wants to finish every race, become more comfortable in her car and to finish all the races and finally to finish in the top ten for at least one race. Being a first-time driver, she set herself reasonable goals and I think she’ll be able to accomplish them this year. Away from the track you can find Kaylee baking in the kitchen. Baking is her other passion. She would like to run her own business which would be either a bakery (she bakes a dessert every Friday night for Stafford) or breakfast restaurant. But even if she wasn’t a driver she would still want to be a part of a race team as she wants to follow her dream. Kaylee in a few years would like to move up to either a Dare Stock at Stafford or to continue at The Bowl in a Limited Sportsman. In her maiden voyage, she has many people she wanted to thank starting with of course her mom and dad and her family. The next group is like a starting line up at The Speedbowl. Justin Bren, Glenn Korner, Josh Wood, Frank L’Etoile Jr and Sr, Mitch Bombard, RJ Surdell, Kyle Gero and Chuck McDonald. Others she wanted to thank were Megan Surdell, Dave Miller, Maryann Gambacorta, Austin Ashwell, and Nick and Joey Fraulino. Her black and powdered blue Saturn SL2 #29 was put together by Frank L’Etoile (who built the roll cage). The engine is a stock engine and supporting her as sponsors are East Pine Bush Equipment, Highland Park Market and Right Image Signs. Helping her out on race day she has Justin Bren, Josh Wood, Glenn Korner, and her dad who help set up the car, give advice, and carry out normal race day procedures. Kyle Gero who has three wins to date and is not too far from where Kaylee sets up in the pits and his dad are there for her as well. Come check out Kaylee every Wednesday night as she battles others in the X-Car division. She may only be a rookie but she’s learning quickly, putting others on alert.